+ What are you working on? Share your musical goals with us and we’ll help you develop a plan to achieve them! Learn more about Soundfly Mentorship here. Understanding the politics of the music industry can often take an artist from “doing alright” to “successful.” It’s the deciding factor between working musicians and budding superstars. In addition to writing, producing, and performing, there are certain nuances to navigating — and ultimately conquering — an industry like the music business. In the last few decades, this business has proved itself to be an unpredictable force of nature. How music is discovered and consumed evolves in the blink of an eye, and there’s an entirely new set of standards for talent and credibility. In many ways, it’s opened the playing field to a whole kaleidoscope of voices and opportunities. And in other ways, it’s brought the journey of proving you’re a cut above the rest a bit into the shadows. If you want to win, you have to play it like a professional. Here are things you can begin doing now to speed up the process and grow in important ways. If you’re looking to work on your career in a more serious manner, investing and building towards your goals, let us know. Soundfly has helped hundreds of musicians develop strategies for growth and reach new heights in their skills and careers via our Headliners Club program. There is no underestimating the importance of artist-to-artist friendships. It’s easy to get so narrowed in on your personal practice that you accidentally eclipse out all the amazing creative energy happening around you. Friendships with other producers, writers, and performers are often made at early, critical stages in everyone’s career, but pay dividends later on. Go out and meet people in your adulthood, too — everyone loves an excuse to have a coffee and share their thoughts. It goes without saying to be mindful of not burning any bridges in the process. You should always go out of your way to build and sustain your network as healthily as possible. Support each other (buy your friends’ music… come on! ), write together, offer creative opportunities to collaborate, show up to each other’s gigs, introduce yourself, and more than anything, make it a rule to try and learn at least one thing from each other. You’re only as strong as the people you know — and what they know about you. Pick a few local shows to attend around town. Attend industry meet-ups, open mics, and writing sessions, and cold-email some local people to get coffee and pick their brain. Some artists produce shows and specially curate nights of live music, which helps you extend your network on all sides of the coin because you’re doing most of the work to bring people together. If you have the time and energy, think about doing this once or twice in the future. It’s easy to get anxious about sharing your new music with the world once you’ve gone through all the trouble to create it. That enthusiasm and pride in your work should never be dimmed, but your content also shouldn’t be released haphazardly — or worse, wasted. Many musicians fall into a trap of rapidly releasing singles, albums, videos and more, almost in an effort to beat the clock. They burn through all their completed content (read: money and time), and essentially rush through opportunities to build their story and open doors for their career. Far too often, talented artists oversaturate their own market by doubling up on album and single releases and allowing their own content to work against them. There’s an art to creating demand for your supply, and it shouldn’t be forgotten that released recorded music lives forever. There is more harm in taking something down or backpedaling on existing releases than there is in waiting it out, properly planning what to do with your music, and creating a promotional runway that works. Continue performing live when you can, but sit down and really make a game plan for the next six months to a year. Make sure your forthcoming releases are spaced out, and planned according to their own inherent impact. Think about singles, promotional roll-out, and how to create interesting conversations around each release cycle (video? free content? unique offerings? news to announce in tandem?). Spend your free time actually working on those things and making them a reality. Be your own business manager until you land one for yourself. No matter how musically talented you are, it’s common to feel less confident in yourself when it comes to the professional aspects of your career. Just as it’s important to know and bond with fellow musicians, it’s tremendously effective to develop relationships with labels, managers, publicists, agents, and more. The key here is to avoid forcing it. In any facet of the industry (press, management, labels, etc. ), the quickest way to shut down a conversation is to make it blatantly obvious you don’t know how to pitch yourself. Promote your artistry and be proud of your accomplishments, but don’t treat every potential opportunity like it’s a life-or-death decision for your career. That usually manifests itself in bombarding people, constantly asking for favors, overselling your shows or credits, or simply not knowing what you’re really trying to achieve. Keep a working list of your contacts. Order them by “status,” for lack of a better term, and maintain realistic expectations. Ask yourself the following questions before going in for an ask: What have they offered? What can you ask? When is the time right? How willing are they to work on something for me? Respect that everyone in the industry is trying to maintain their own reputation and can’t endorse or help everyone. If you want to work with someone, you better know how and why your contribution can help their career, as much as it helps yours. The more you display that sort of mindfulness, the more you’ll position yourself as a talented performer and networker, and a good-to-know player in the industry — and you’ll be better off in the end because of it. Our community of Soundfly Mentors can help you set the right goals, pave the right path toward success, and stick to schedules and routines that you develop together. The Headliners Club like having a personal trainer for your music, with a series of musical workouts, a whole lot of feedback and support, and the chance to accomplish something you’ll be proud of. 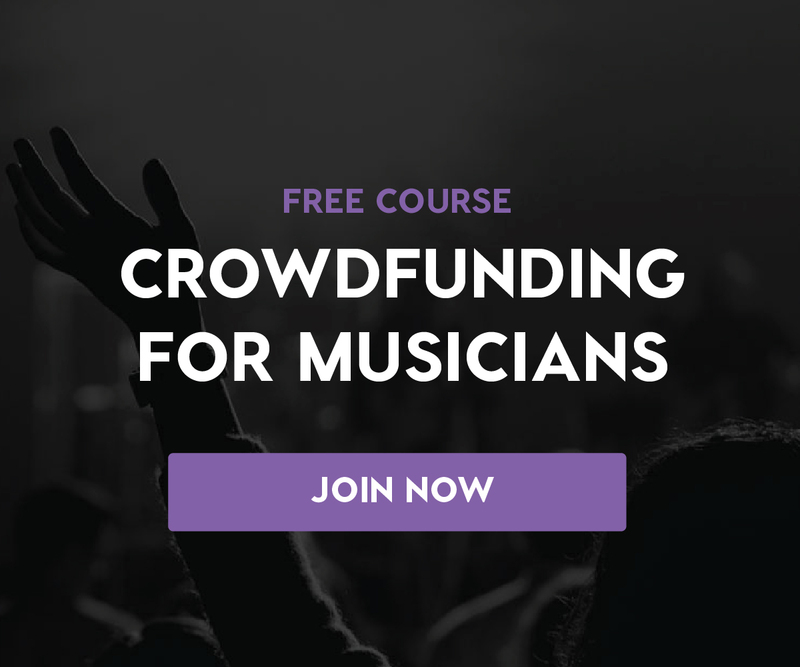 Whether you’re looking for a full online course experience in your musical area or some goal-oriented coaching, we’ll pair you with a Mentor to help you get there! Made of coffee and chord progressions, Brittany Brave is a NYC writer, comedienne and founder of BRAVE PR. She’s also tiny, powered by ideas, always talking loud and walking too fast. Follow her at @BritBrave.